The Owlet Baby Monitor is the next step in baby monitor technology—see reviews here in, TechCrunch and CNBC. 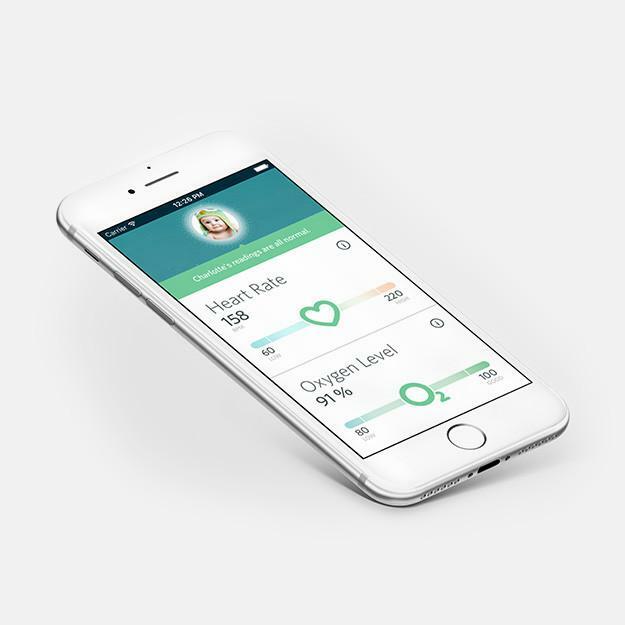 The Owlet Baby Monitor takes baby monitors to the next level by providing new parents with information about their little one’s heart rate and oxygen levels. A sock that slips onto your baby’s foot, the Owlet Baby Monitor notifies parents in real time if something appears to be wrong. Owlet’s goals are to give parents better insight into the wellbeing of their infants, to educate parents on safe sleep practices, and to aid in global research about infants and sleep-related complications. So far, reviews have credited this baby monitor with saving baby’s lives by alerting parents of sudden complications. The Owlet Baby Monitor is made of soft, hypoallergenic cotton that will gently but securely wrap around your baby’s foot, and is flexible so that it can grow with your baby. The home base and app receive feedback from the sensor, telling you about your baby’s body in real time. Interested? Unfortunately, the Owlet Baby Monitor has only been released in the United States as the company is using the U.S. as a test market. Online reviews say that the Owlet Baby Monitor is easy to use, straightforward, and provides peace of mind, so it is only a matter of time before Owlet Baby Monitor Australia information is released. As of now, there is no Owlet Baby Monitor Australia release date or price, but the retail price is currently 299.99 USD, and the package includes three socks, a sensor, the base station, a charging cord, and access to the Owlet Baby Monitor App. For those parents in Australia who want to buy an Owlet Baby Monitor, read on to find out more! How can I buy the Owlet Baby Monitor and have it shipped to Australia? Unfortunately, the Owlet Baby Monitor store does not ship globally, and an Owlet Baby Monitor Australia price and release date have not yet been released. Still want to buy and Owlet Baby Monitor in Australia? Big Apple Buddy, your personal shopper, can help you buy products direct from the official Owlet Baby Monitor online store and ship them to your doorstep, no matter where you are in the world. We offer international shipping to over 110 countries including Australia, Austria, Azerbaijan, Bahrain, Belgium, British Virgin Islands, Brunei, Bulgaria, Canada, Chile, Costa Rica, Croatia, Czech Republic, Denmark, Estonia, Fiji, Finland, France, French Polynesia, Germany, Gibraltar, Greece, Greenland, Hong Kong, Hungary, Iceland, Indonesia, Ireland, Israel, Italy, Japan, Jordan, Kuwait, Latvia, Liechtenstein, Lithuania, Luxembourg, Macau, Malaysia, Maldives, Malta, Marshall Islands, Mauritius, Monaco, the Netherlands, Netherland Antilles, New Zealand, Norway, Oman, Poland, Qatar, Romania, San Marino, Saudi Arabia, Serbia and Montenegro, Seychelles, Singapore, Slovak Republic, Slovenia, Spain, South Africa, St. Lucia, Sweden, Switzerland, Taiwan, Thailand, the UAE, the UK, Vatican City, and Vietnam. If you would like to buy from the Owlet Baby Monitor online store, simply get in touch and let us know which items you would like to order. We’ll get back to you with a free international shipping quote within 24 hours!